In the category of things you wouldn’t is their Pulled Pork Deviled Eggs. The yolks were mixed up with some sort of a mustard, they were then topped with the pulled pork, some BBQ sauce and scallions. The result was much better than I expected, especially having seen this hilarious menu recently. 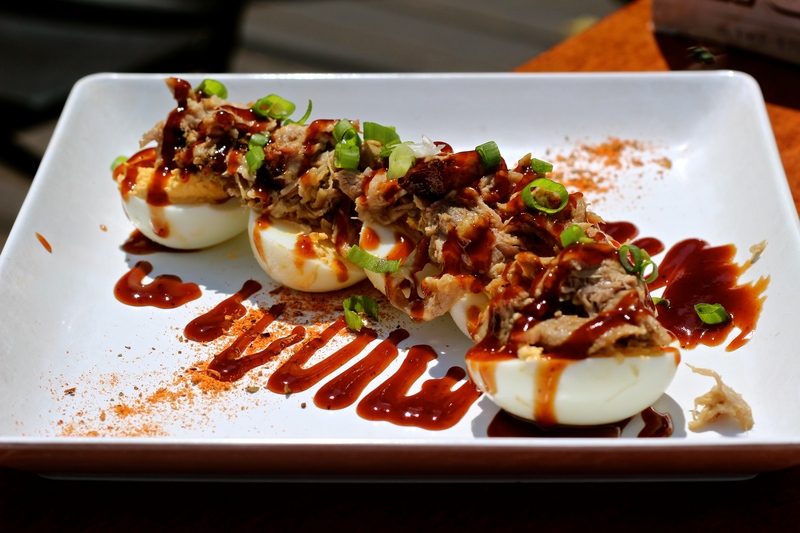 It’s hard to go wrong with pulled pork anything, and these deviled eggs were no exception. For my meal, I picked the Choose Your Own Adventure combo platter with 2 meats and 2 sides. For the meats I went with Beef Brisket and 1/4 Rack Baby Back Ribs, then for sides I chose the Ta Tas (tater tots with nacho cheese and Frank’s Red Hot) and Nickel City Mac & Cheese (which, as an aside, is the first time I have ever heard the term “Nickel City” and while I am not entirely sure what it means, I think it has something to do with the old buffalo nickel). Too much good on one plate. All of these turned out to be great choices, and once I got over the piece of lettuce it all sat on top of, I was ready to eat. The ribs fell right off the bone and into my mouth as fast as possible. 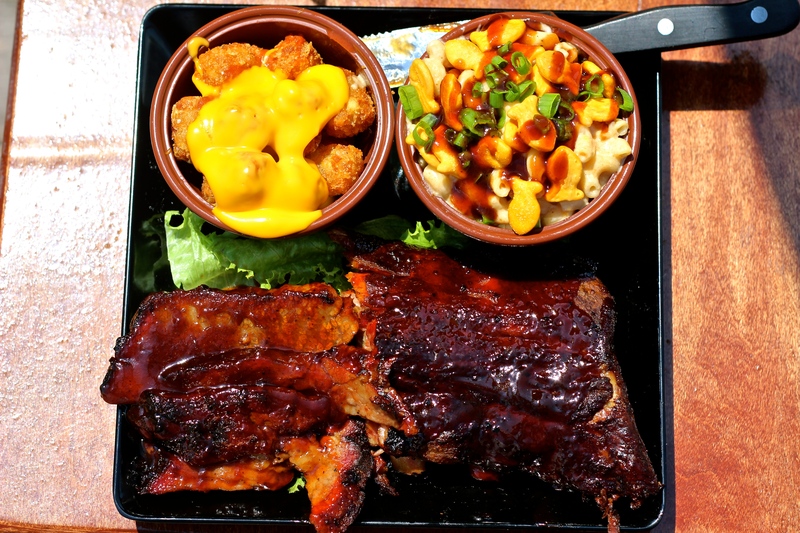 They had an amazing smokey flavor to them and were topped with some tasty BBQ sauce. The brisket was equally good, and most importantly it was moist and juicy, making full use of the inherent fat in the brisket cut. The sides were perfect companions, with the tots being the big winners, while the mac was nothing to complain about. The mac, by the way, was topped with goldfish, which was an interesting choice. But it was also topped with some of the BBQ sauce, giving it an even deeper flavor. On top of all this, I got to try out my wife’s Bacon-Wrapped Meatloaf, which was so smoky, moist and delicious I almost wished it had been part of my Choose Your Own Adventure. Alas, it was not meant to be. This was undoubtedly the best BBQ I have had in Buffalo. And even better, it is a homegrown favorite that didn’t come from a place like Rochester down the Erie Canal. 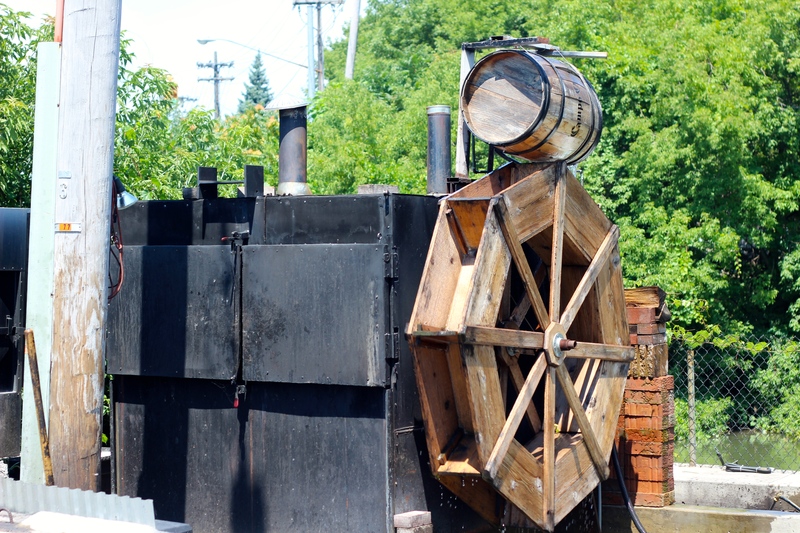 If it wasn’t so damn far from me in East Aurora, I would have made Smoke on the Water a regular destination.